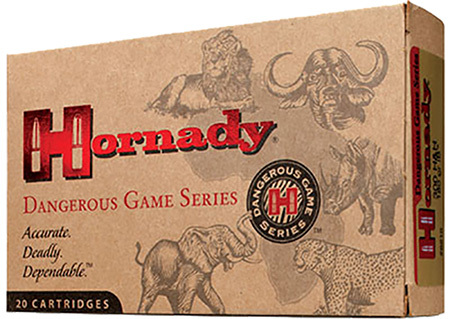 From African big game to the American Grizzly Bear, Hornady's Dangerous Game ammunition provides the shooter an exceptional load with more energy transfer and lots of knockdown power. 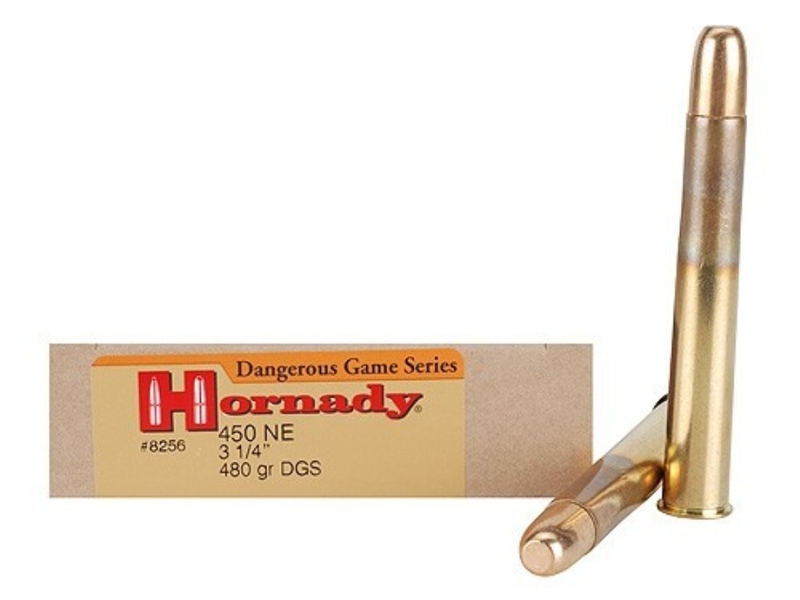 The DGX bullet creates excellent expansion while the DGS loads are a non-expanding, homogeneous style bullet designed for deeper penetration when hunting the world's toughest and most dangerous animals. Both bullet types feature copper clad, steel jacketed bullets with a high antimony lead core and thick base. Muzzle Energy: 4927 ft. lbs.